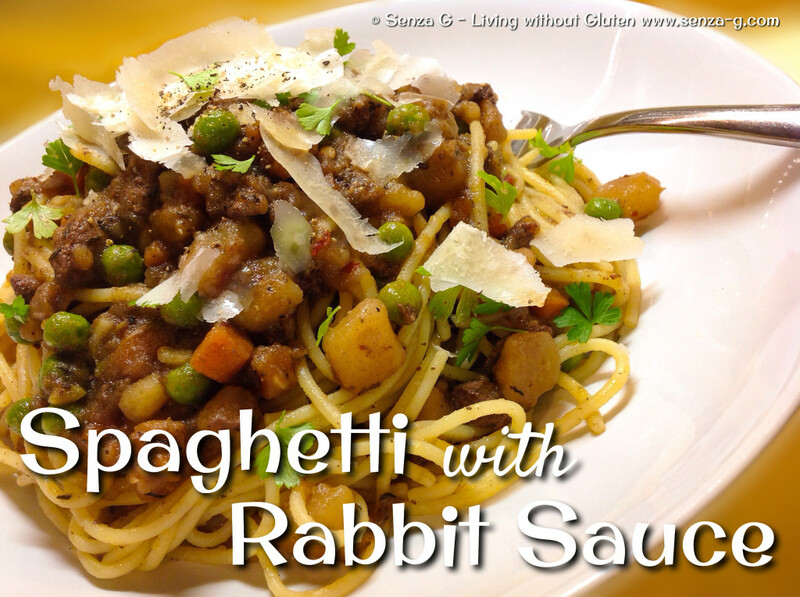 You are probably saying … Oh no, not another Rabbit Sauce! But this one is different! This is only for spaghetti! I do not want to gross you out but did you ever know that the best rabbit sauce you can make for pasta is with the head and the liver? You do not have to eat the head, don’t worry! Lol. Just cook the sauce with it and then just chuck it out! My mum used to actually pick the meat off it … Aaaagh! Make sure the eyes are taken out though. My very first time, way way back when I cooked this the very first time, the eyes in the skull exploded and boy did that give me the creeps!! Try this out … It IS delicious! Seriously! In a pan, sauté the onion, carrot and celery until softened, followed by the potato cubes. Add the rabbit head and cook on all sides till it looks like its cheeks were sunkissed! Add the garlic and cook for a minute. Do not let it brown. Pour in the wine, stirring it in. Add enough chicken stock to just about cover the rabbit head. Season with salt and pepper. Add the finely chopped liver. Add also the mixed spice, the juniper berries, Chilli flakes if using, cinnamon stick, Worcestershire sauce, tomato paste, the rosemary, thyme and bayleaves. Bring to a boil, then lower the heat and simmer until the sauce starts to thicken and the potato is soft. Remove the head and discard. Remove also the bay leaves and cinnamon stick. You can thicken it further by gently mashing some of the potato cubes with a wooden spoon against the side of the pan. Add also the peas and simmer for a few more minutes till the peas are cooked. Finally stir in some grated Parmesan. Boil the spaghetti and after you drain it, mix in some of the sauce and a knob of butter. Plate and place more sauce on top of the spaghetti. Serve with Parmesan shavings, fresh parsley and a fresh grinding of black pepper.